Fifteen years ago today — February 25, 1998 — a Pegasus XL rocket launched a student-built satellite to track variations in nitric oxide pollutants in the atmosphere. The Student Nitric Oxide Explorer (SNOE) was built by University of Colorado students, under a program managed by the Universities Space Research Association. Flying out of Vandenberg AFB, the Pegasus XL was dropped from its L-1011 carrier aircraft and propelled SNOE and the Broadband Advanced Technology Satellite (also known as BATSAT and later as Teledesic 1) into orbit. The SNOE mission lasted nearly 6 years; the satellite de-orbited in December 2003. You can learn more about SNOE at this University of Colorado Laboratory for Atmospheric and Space Physics page . Two satellite observatories launched on this date in space history, both boosted by Delta rockets, both international in scope, to look at opposite ends of the spectrum. First, 35 years ago today — January 26, 1978 — Explorer 57, also known as the International Ultraviolet Explorer (IUE), was launched out of Cape Canaveral. NASA’s Goddard Space Flight Center built the satellite and its optical instrumentation, Britain’s Science Engineering Research Council provided television cameras, and the European Space Agency provided the solar panel paddles as well as a European control center. 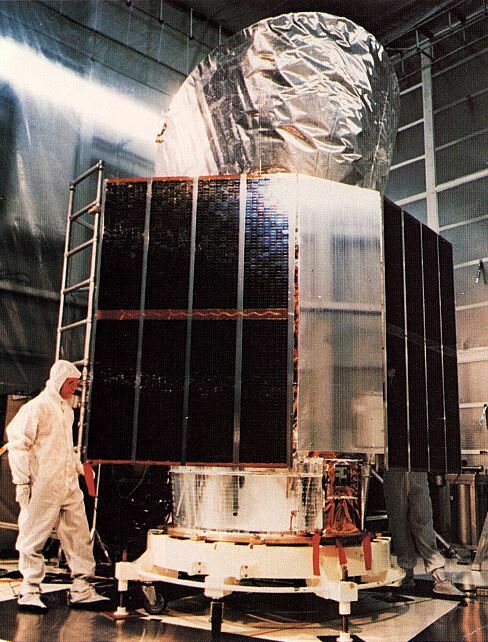 Five years later, on January 26, 1983, the Infrared Astronomical Satellite (IRAS) (pictured above) launched from Vandenberg AFB. A joint mission between the US, the Netherlands, and the United Kingdom, this mission completed a full-sky survey that detected nearly 350,000 infrared sources and revealed the core of our Milky Way galaxy. Twenty years ago today — January 13, 1993 — the Space Shuttle Endeavour launched from the Kennedy Space Center carrying a new Tracking and Data Relay Satellite (TDRS). The STS-54 crew — John H. Casper, Donald R. McMonagle, Gregory J. Harbaugh, Mario Runco, and Susan J. Helms — spent almost six days in space. They deployed the fifth TDRS spacecraft during their first day in orbit; the TDRS’s Inertial Upper Stage maneuvered it into its higher operational orbit. The crew spent their remaining time in space conducting a variety of experiments: they took spectrographic readings of X-ray sources with the Diffuse X-ray Spectrometer (DXS); studied biological systems under microcravity using the Commercial General Bioprocessing Apparatus (CGPA), the Chromosome and Plant Cell Division in Space Experiment (CHROMEX), and the Physiological and Anatomical Rodent Experiment (PARE); measured flame propagation in microgravity with the Solid Surface Combustion Experiment (SSCE); et cetera. As for the space history “first” — on this mission, then-Major Helms became the first U.S. military woman to fly in space. Still on active duty in the USAF, she is now a Lieutenant General and the Commander of 14th Air Force at Vandenberg AFB. Ten years ago today — January 12, 2003 — a Delta II rocket launched from Vandenberg AFB carrying two very different spacecraft. CHIPS rode into space with ICESAT, the Ice, Cloud, and land Elevation Satellite. 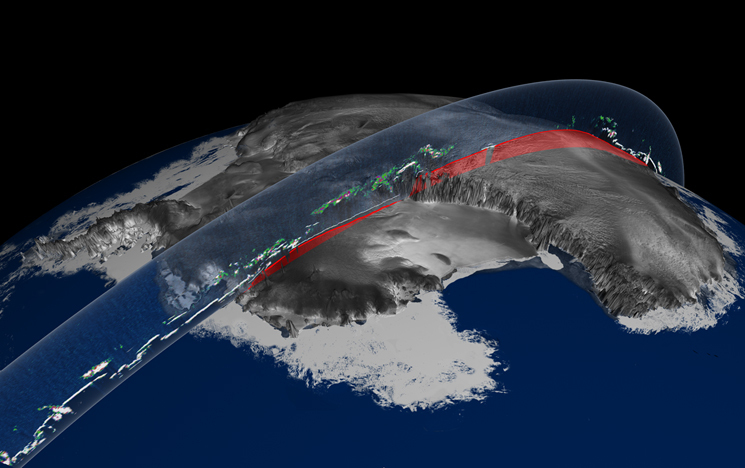 ICESAT carried the Geoscience Laser Altimeter System to measure the thickness of ice sheets. Fifty years ago today — December 13, 1962 — a Thor Delta rocket out of Vandenberg AFB launched the first set of electronic intelligence (ELINT) spacecraft in the Poppy program. Also known as 1962 Tau Beta (among other names), the Poppy spacecraft were a follow-on to the Galactic Radiation and Background (GRAB) series of ELINT satellites, pictured in this previous blog entry. Several Poppy spacecraft were launched together, in tandem with the Injun 3 instrumentation satellite. The National Reconnaissance Office declassified the Poppy program in 2005, and prepared a report entitled Raising the Periscope that contains select details about it and the GRAB program. Fifty years ago today — October 27, 1962 — Explorer 15 was launched from Cape Canaveral on a Thor Delta rocket, to study a radiation belt produced three months earlier. (The Starfish nuclear explosion, as seen from nearly 900 miles away in Honolulu, HI. Explorer 15 was instrumented with an array of radiation detectors, as its mission was to study the radiation belt produced by the Starfish nuclear test conducted on July 9, 1962. The Starfish test — conceived by the Atomic Energy Commission and what would become the Defense Nuclear Agency, and launched from Vandenberg AFB by the Air Force — revolutionized the understanding of electromagnetic pulse, but the energetic particles it created contributed to the failures of several low-earth-orbiting satellites. Fifteen years ago today — October 15, 1997 — the Cassini/Huygens mission launched from Cape Canaveral Air Force Station aboard a Titan IVB/Centaur rocket. 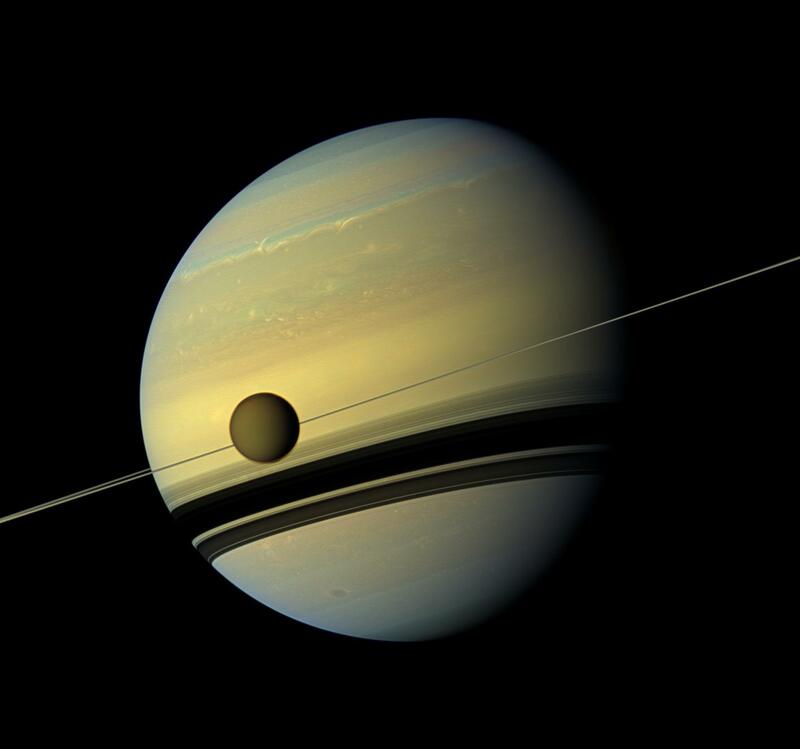 The Cassini orbiter and the Huygens lander were launched together, and since Huygens was destined to land on Titan it was appropriate that they launched on a Titan vehicle. Huygens, built by the European Space Agency, landed on Titan in January 2005. The Cassini launch was somewhat controversial: the orbiter is powered by three radioisotope thermal generators, and the mission faced protestors who were afraid the launch vehicle would fail and the RTGs’ plutonium dioxide fuel would end up in the ocean. Having spent a good portion of my assignment at Edwards AFB working on the Titan 34D Recovery Program, and then serving from 1993-95 in the Titan System Program Office at Vandenberg AFB, I was very pleased when this launch succeeded flawlessly. For current mission status, and access to dozens of spectacular images like the one above, visit this Jet Propulsion Laboratory page or the main Cassini mission page. Fifty years ago today — September 28, 1962* — the Alouette 1 satellite launched from Vandenberg AFB on a Thor Agena rocket. 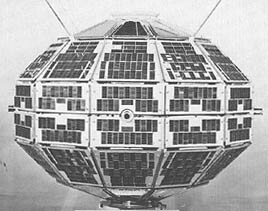 Alouette 1 was a Canadian-built spacecraft designed to make scientific observations of the ionosphere, that region above the stratosphere where the atmosphere is ionized by the sun. Despite attitude control issues that caused the spin-stabilized satellite to slow down more than expected, it continued to operate until September 1972. The Wikipedia entry on Alouette 1 notes that Alouette 1 is sometimes the subject of confusion regarding its place in space history. To be clear, it was not the third satellite placed in orbit, nor was it the first satellite to be owned by a country other than the U.S. and U.S.S.R — instead, it was the first satellite to be built by a third country, making Canada the third nation to have a home-built spacecraft in orbit. *Sometimes listed as the 29th, using UTC. Five years ago today — September 18, 2007 — DigitalGlobe launched WorldView 1, a commercial remote sensing satellite, from Vandenberg AFB on a Delta II rocket. WorldView 1 was built by Ball Aerospace for DigitalGlobe, and featured a “panchromatic” camera — sensitive to all colors in the visible spectrum — with half-meter resolution. Even though it’s a commercial imager, the National Imagery and Mapping Agency was among its primary customers. Here’s a complete data sheet about the satellite. DigitalGlobe launched the WorldView 2 companion spacecraft in December 2009. Note: I tried to find DigitalGlobe’s “Images for the Media” page (http://www.digitalglobe.com/press/images_media.shtml), to pull an image they had already tagged for editorial use, but that section of their web site appeared no longer to exist. Fifteen years ago today — August 22, 1997 (local time) — the Lewis spacecraft launched from Vandenberg Air Force Base aboard a Lockheed Martin Launch Vehicle. Lewis was a small satellite built under NASA’s Small Spacecraft Technology Initiative and part of the “Mission to Planet Earth.” a long-term research program designed to study the Earth’s land, oceans, air, and life as a total system. This launch (on August 23, by GMT) was the first success for the LMLV, also known as an Athena rocket, and also the first successful launch from SLC-6 — Space Launch Complex Six — at Vandenberg. Unfortunately, Lewis encountered attitude control problems: “telemetry received early August 26 indicated that the spacecraft was spinning at approximately two revolutions per minute. The spinning resulted in the spacecraft shutting down after its solar panels could not capture enough sunlight to properly recharge onboard batteries.” The satellite burned up in the atmosphere on September 28.